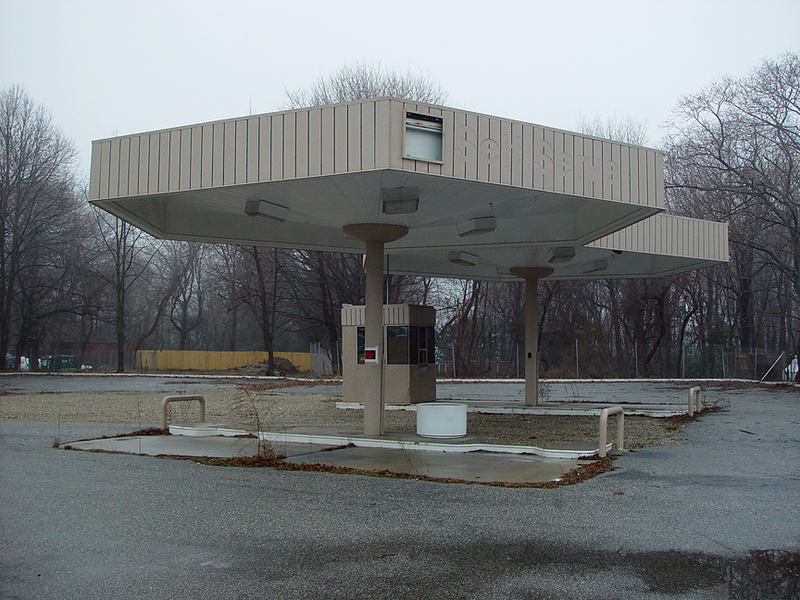 I notice an inordinate amount of abandoned gas stations along the routes I regularly travel. 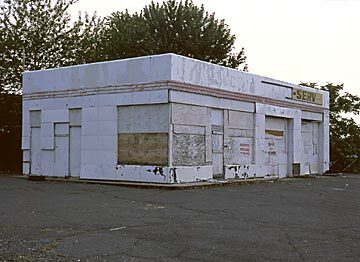 I assume they escape real estate market re-absorption longer than most vacant structures because demolition creates the potential for costly environmental clean up. 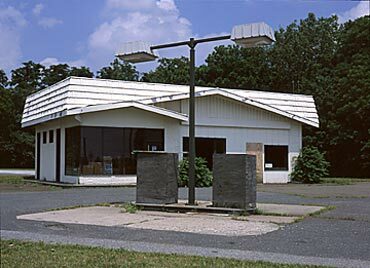 I approach each former service station as if it were a crime scene. 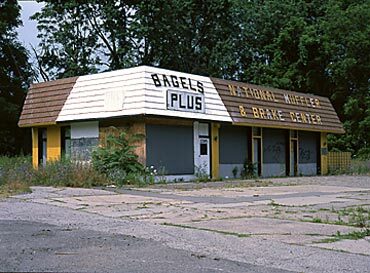 I document what I find in and around the vacant structure as material evidence of the passage of a moment of American history and identity. 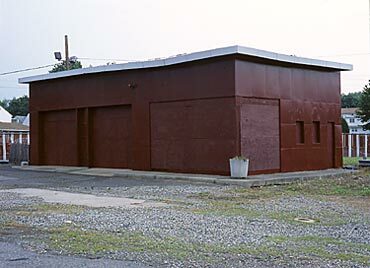 Each service station is a unique record, which tells the stories of its former inhabitants. Interpreted collectively these sites tell us something about our historical past, as well as the socioeconomic and technological changes we have undergone enroute to the present. They are portraits.